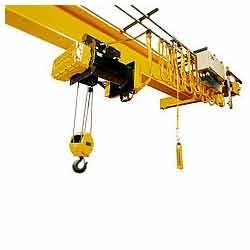 Owing to our competency in them markets and we being preferred over other competitors, we have been able to offer to our customers a qualitative range of Industrial Cranes. The offered range has been made as per the industrial parameters and in this range we are offering Jib Cranes, Underslung Cranes, HOT Cranes and Gantry Cranes. The range has been availed to the customers at the most comprehensive and industry leading prices. Owing to our commitment to quality, we are able to offer to our customers a wide range Underslung Cranes. The offered range has been availed to the customers as per their needs in customized versions. We have availed this range to the customers at the most affordable prices. Best quality raw material has been infused in the making of this range. It is made in complete dimensional accuracy with the ease of operation. 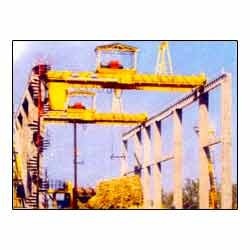 We are highly reputed manufacturers and suppliers of a wide range of HOT Cranes (Hydraulic Overhead Travelling Cranes) that have been specially manufactured by us keeping the industrial standards in mind. Our firm has been widely engaged in offering these cranes in customized versions. Allowing a safe and efficient performance in lifting as well as shifting of heavy material load this is in demand at factories and workshops.